New modern style Project. 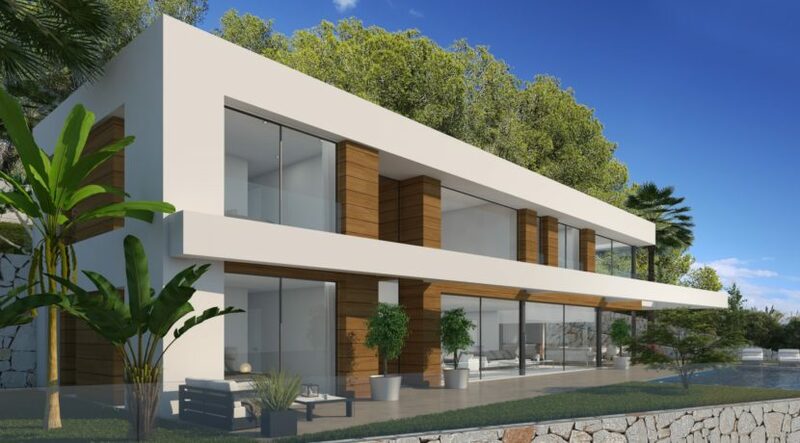 A practical, spacious and luminous property, of course with some distinctive touches. 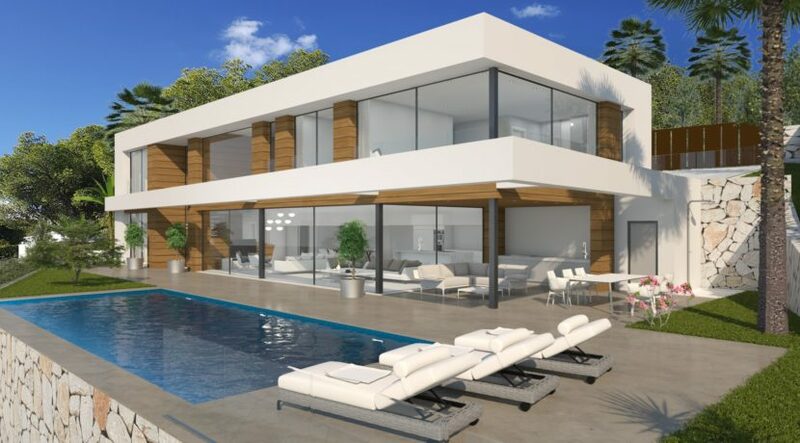 The home will include 4 bedrooms and 4 bathrooms, spacious lounge/dining/kitchen and there will be a large pool. 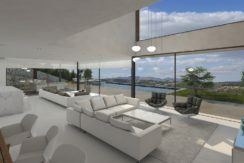 It will benefit of central heating, double parking and a lift. 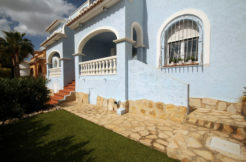 It has a 1.037m2 plot and a 334m2 build. 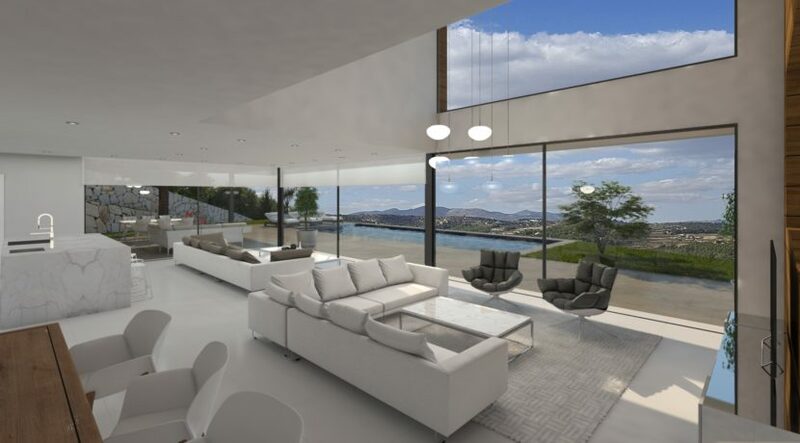 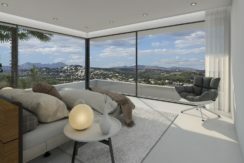 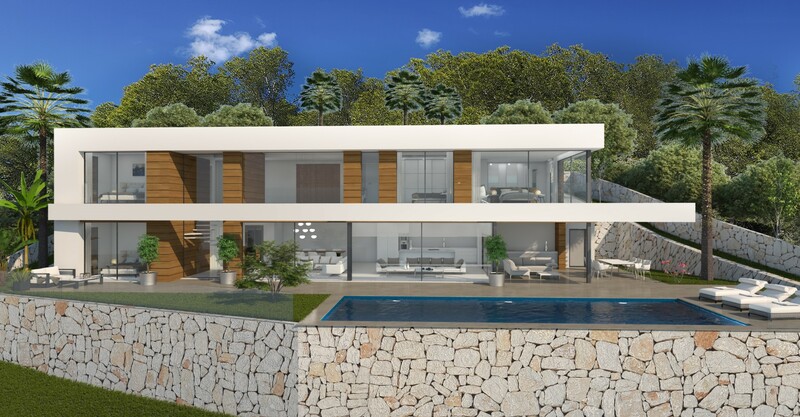 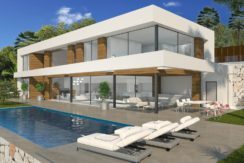 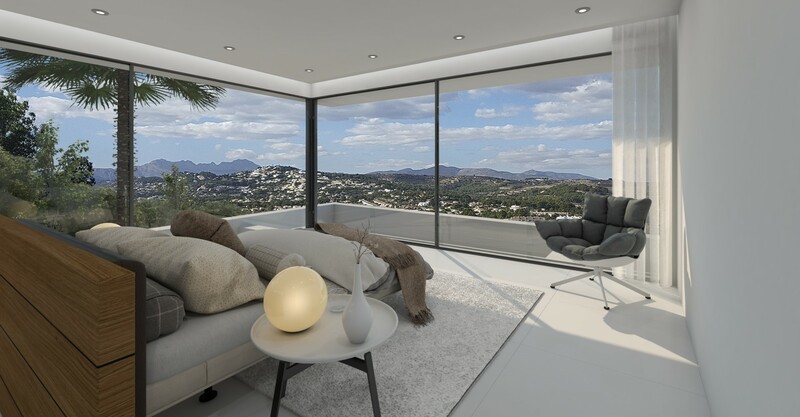 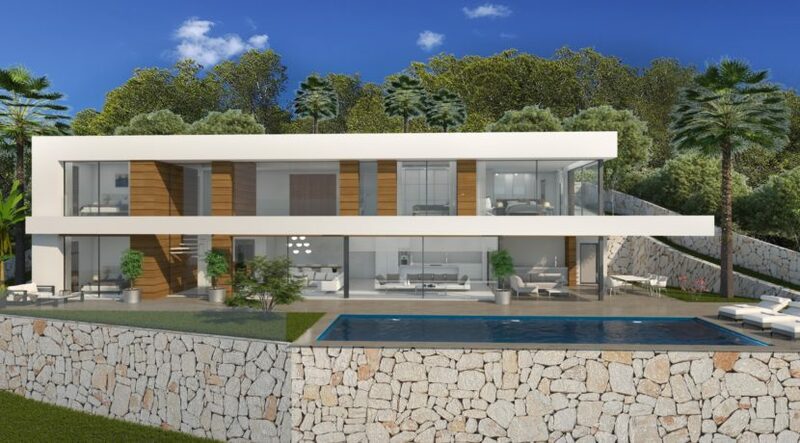 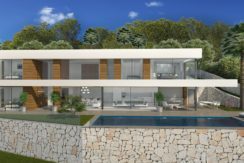 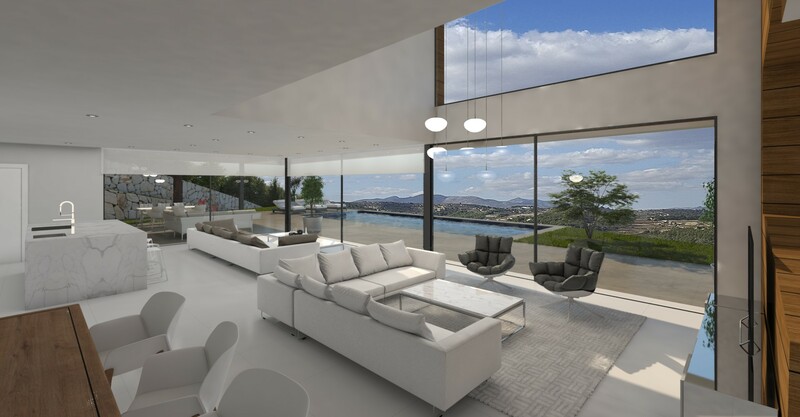 It will be located at only a short drive from Moraira town center and it will have spectacular views to the Mountains (Montgo, Bernia and Ifach). 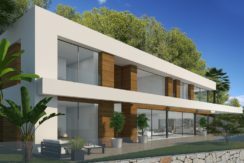 If you are interested in seeing the beautiful sunset everyday, as well as Moraira with all its lights during the night then this property could be ideal for you.